Nakamura-Tome NTJ-100 is a multitasking turn-mill designed to offer fast tool changes, a large tool capacity, and as many as 54 tool stations for turning and 24 tool stations for milling to reduce setup time. 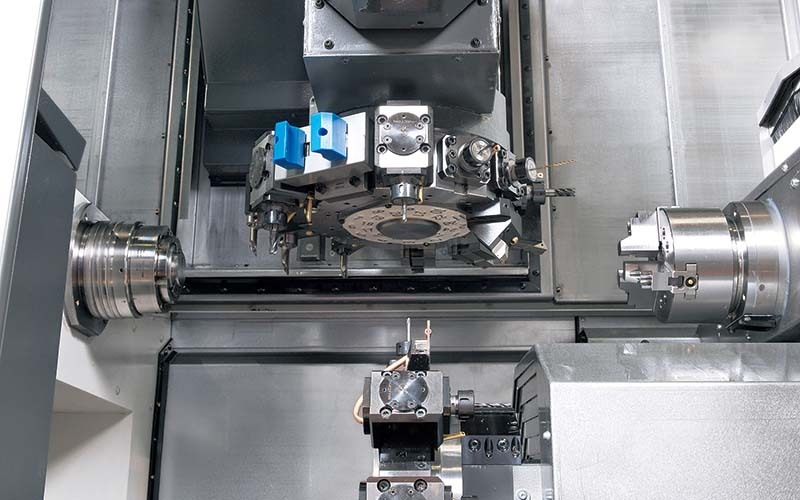 The machine is available from Methods Machine Tools Inc.
For faster cycle times, the multitasking center is equipped with two high-rigidity turrets, each with a Y axis, 3.5″ (80 mm) on the upper and 2.6″ (65 mm) on the lower, to facilitate pinch-turn and pinch-mill operations. 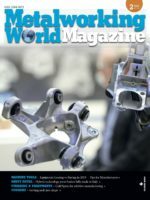 An upper turret swiveling B-axis with a range of 182 degrees can produce angular features, eliminating the need for angle milling heads, the company says. Twin 6,000-rpm spindles improve motor acceleration and deceleration for machining efficiency. Synchronization of the left and right C axes enables parts to be clamped simultaneously by the left- and right-side chucks. The turn-mill has a maximum turning diameter of 6.9″ (175 mm), a maximum turning length of 26.7″ (678 mm) and a standard 1.6″ (42-mm)/maximum 2.6″ (65-mm) bar capacity. The multitasking center provides X-axis and Z-axis speeds of 787 ipm and 1,574 ipm, respectively. Designed with a minimum 7.9″ (200 mm) and maximum 35.8″ (910 mm) distance between spindles to eliminate any interference of tooling during multitasking, the center provides for multiple tools in the cut simultaneously. To ease operation, the machine features a 19″ high-resolution, touchscreen LCD panel. 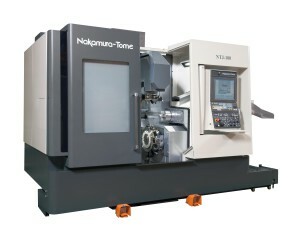 The Nakamura-Tome Intelligent Programming System (NT-IPS) is a PC-based control built into the machine, and works in conjunction with the FANUC 31iB-2 controller to improve functionality and processing speeds. New standard functions include a spindle speed override switch, a program number search, C-axis synchronization and helical interpolation.